You need more than just medical products; you need precisely matched, customised medical technology solutions. And that’s exactly what we supply to you! Cormed develops particularly high quality and customised medical technology solutions for cardiology and cardiac surgery based on a broad portfolio of carefully selected, first class medical technology. Excellence and perfection are essential to you in cardiology, cardiac surgery, anaesthesia and intensive care medicine. And to us too. As experienced medical technology specialists, we sound out the market for you and continuously update our portfolio. To that end, we collaborate with the world’s leading providers of cardiopulmonary machines and temporary cardiopulmonary support systems. Based on our broad product portfolio, we develop high quality, customised medical technology solutions for you. We will also be glad to configure separate components to create specific product sets for you. 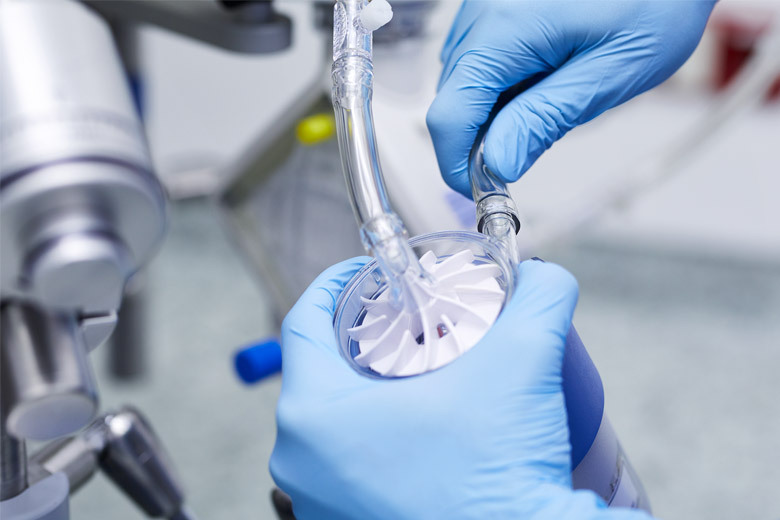 We work with well-known medical technology suppliers who manufacture extremely high quality products – and who are certified accordingly, of course. We handle our own logistics and warehousing: so you receive our products when you need them – in urgent cases, also within 24 hours. We configure our products in a way that perfectly matches your workflow and, above all, your situation – all from a single source! We make all our systems available to you as leasing equipment if necessary. This enables you to overcome supply bottlenecks very easily without having to undertake major investments. We provide you with both complex system solutions and separate components – along with everything else on request at all times! After installation, we also take care of the disposal of all packaging materials immediately and also offer you optional comprehensive zero-waste solutions. 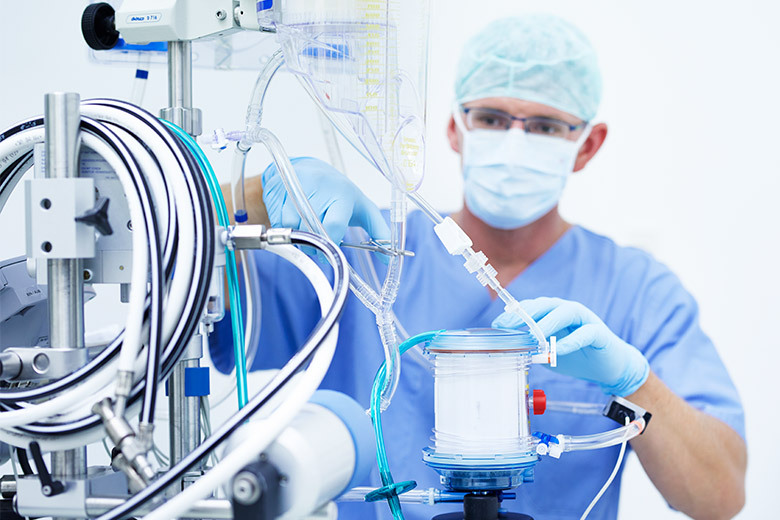 You need high-performance, reliable, customised ECMO and ECLS systems. We are specialists in this area and familiar with the market. We will be glad to demonstrate to you the performance of the various manufacturers’ individual devices and explain the advantages of each one. You can select the design from among separate products, complete solutions, and clinic-specific in-house solutions as well as CE-certified transport equipment. The systems have long-term certifications – all ECLS systems have a two-week validation. In addition, you have access to our technical support at all times. Complete systems for veno-venous (VV-ECMO) and veno-arterial (VA-ECMO) extra-corporeal membrane oxygenation for short-term cardiopulmonary support: custom-configured and optionally available under leasing agreement. Complete systems for veno-venous (VV-ECMO) and veno-arterial (VA-ECMO) extra-corporeal membrane oxygenation for short-term cardiopulmonary support: custom configured and optionally available under leasing agreement. 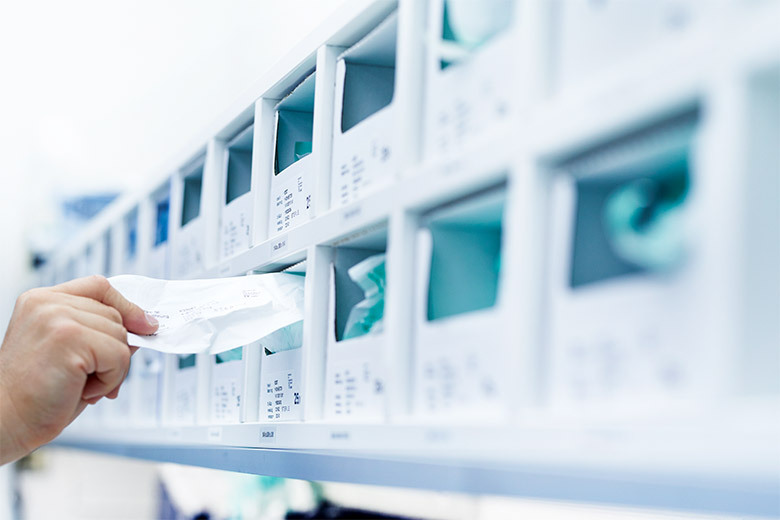 From cannulae to connectors to replacement parts for extended operation: from well-known manufacturers, always available on short notice, and matched to your specific system.